There is no better stereotype than how the average [ignorant] American thinks of the French: a skinny man with a baguette in hand, wearing a red beret and a black and white horizontally-striped shirt and laughing, “Hon, hon, hon!” as he sips wine at a café next to the Eiffel Tower at 3 PM on a weekday. I Google-Imaged “french stereotype” immediately after writing the above statement, and this is what came up. Thank you, and goodnight. Subtract the campy beret, the effeminate scarf, and the fake mustache. Add a cigarette (or ten). Now you’ve got a real stereotypical French man! (Wine and baguettes included.) Though the French don’t usually laugh with, “Hon hon hon,” sometimes you get your characters. I mean, stereotypes exist for a reason, right? They’re all based in some fundamental truth. I had come across his angelic, beautiful, time-stopping caramel pistache at my trip to A L’Etoile d’Or last week, and after those few sweet moments in buttery sugar-heaven, I knew I had to find the precious source. After a quick consult with Google Maps (I am a girl of the 21st century, okay? Don’t judge my pseudo-resourcefulness), I found the address. Low and behold, it was dangerously close to my apartment. Too dangerous. [For a few days, I had not-so-subtly been mentioning the possibility of a visit to Jacques’ boutique to my friend Ella, who is the featured photographer on this blog and who is so patient with me when it comes to my crazy candy adventures. Yesterday afternoon, I prodded her again during the tail-end of a long walk along the Canal St. Martin, and when she agreed to accompany me, I knew we were heading for quite the candy adventure. But anyway, I found it. And it was even more beautiful than I had imagined. 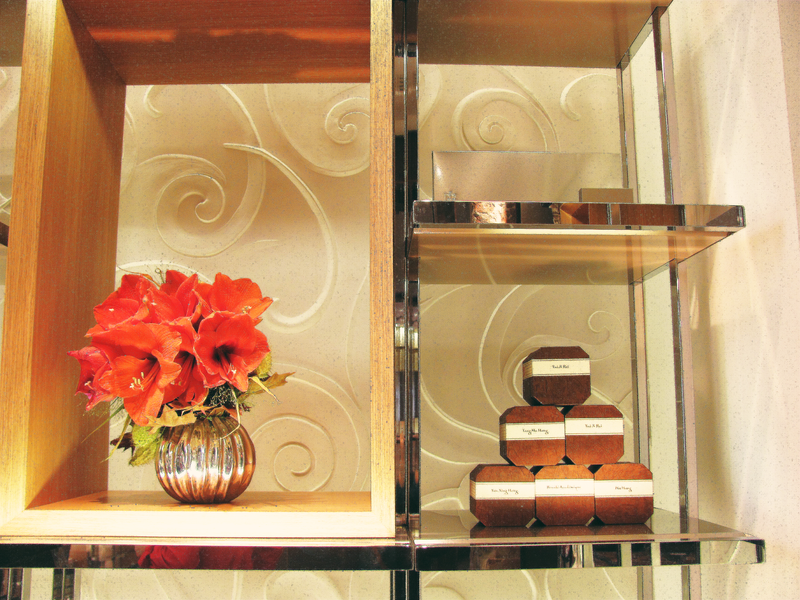 Hiding behind a grungy, plain white facade of the corner building was a swanky, posh, styled interior devoted to the stunning beauty that is Jacques Genin’s chocolates. “I don’t think I’m dressed well enough to go in,” I whispered as I stared through the pristine windows into the candy haven inside. It didn’t take long for my overly-excited taste buds to overcome my irrational humility, so I opened the door. Crisp chrome cases, precisely lined with delicate rows of perfect chocolate squares and filled to the brim with caramels and fruit pastes of all colors, complimented the light brick walls and dark wood decor. 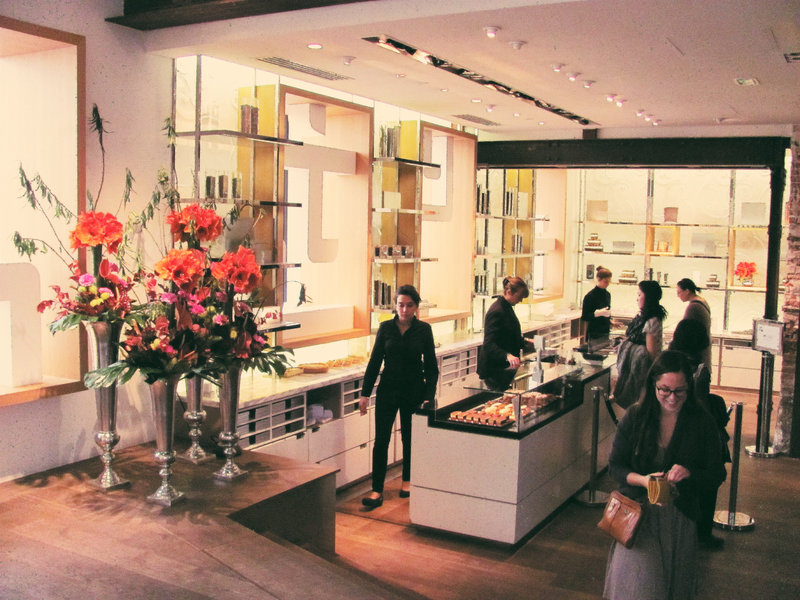 In the far corner of the spacious boutique, guests lounged in leather chairs at café tables, enjoying freshly prepared coffee as they tasted their recent purchases. Female attendants clad in slim black clothing waited patiently behind the sacred candies. Basically, it looked like this (click the picture on the left). And I looked like this. Immediately, I gravitated towards the caramels (praise the heavenly goodness), but I decided to hold off and to steer towards the chocolates instead. A attendant with a sassy little scarf tied around her neck asked if she could help me, so I went for it. “Un petit, petit, petit sac, s’il vous plaît.” One tiny, tiny, tiny bag of chocolates, please. After a few minutes of careful consideration, I chose four 1-inch squares: raspberry, coffee, grapefruit, and another flavor that I honestly cannot remember for the life of me because I was just so excited to be getting it. €2.88 later. So worth it. 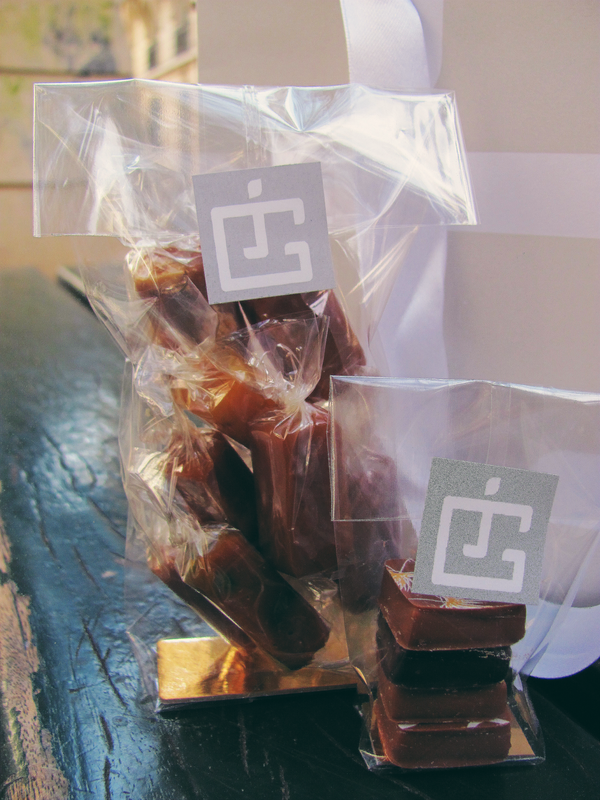 Then I moved onto the caramels. There were nine flavors: plain, vanilla, chocolate, coffee, almond, cashew, pistachio (hello, my dear old friend), ginger, and the random yet bizarrely intriguing passionfruit mango. Overwhelmed of the idea of having to choose only a few of the beautiful creations and leaving others behind, I chose them all. It was an intensely dark and a deliciously carefree moment. 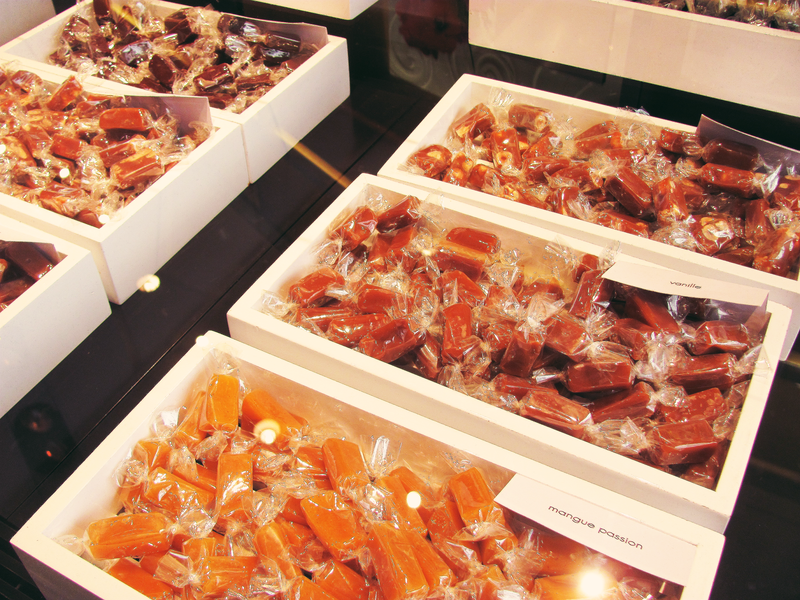 The nine caramels set me back a little over €10, but trust me. I didn’t regret a single centime. 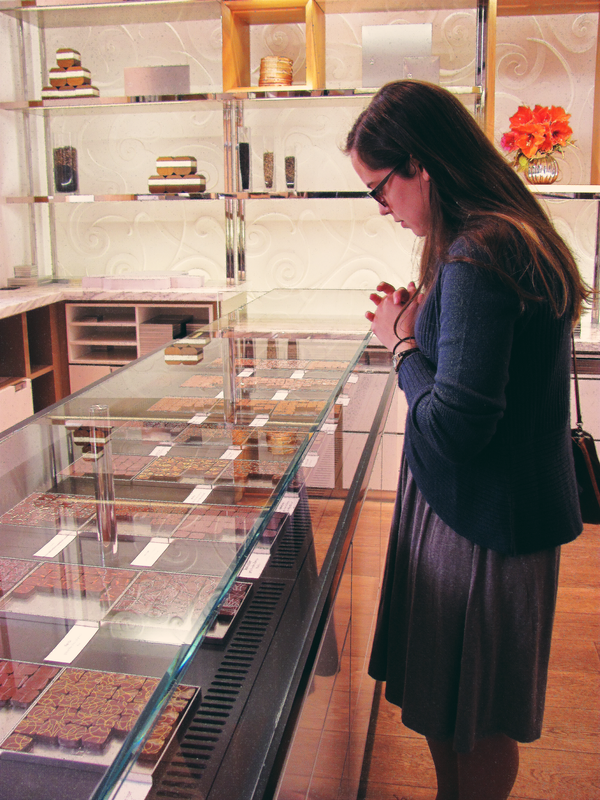 After I bought the caramels, Ella and I jetted out of there as quickly as we could. Dangerous, I tell you. So, so dangerous. We stopped at a nearby bench and each enjoyed one of our caramels (she bought just two and nothing else—girl knows self control). In that moment, that first sumptuously smooth bite, that first salty-sweet touch of goodness on my tongue, that first drip of buttery delight sliding down my throat—well, it may be cliché to say, but in that moment … I died and went to caramel heaven. And then I died and went to caramel heaven eight more times in my bedroom throughout the rest of the day until the caramels were magically all gone and I was going through some serious withdrawal symptoms as I sat in my own candy-less hell. Talk about stereotypical. Photography by Ella Pennington, except for the pictures of the silly French guy and of Oprah. Thanks, Google Images. 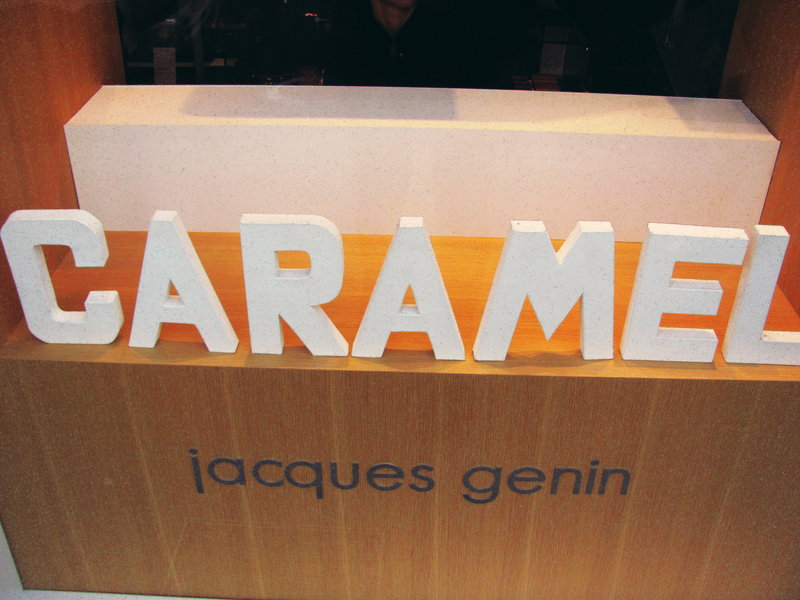 Tags: caramel, chocolate, france, jacques genin, paris. Bookmark the permalink.